If you’re a team owner, there’s a lot you can do to customize your team. 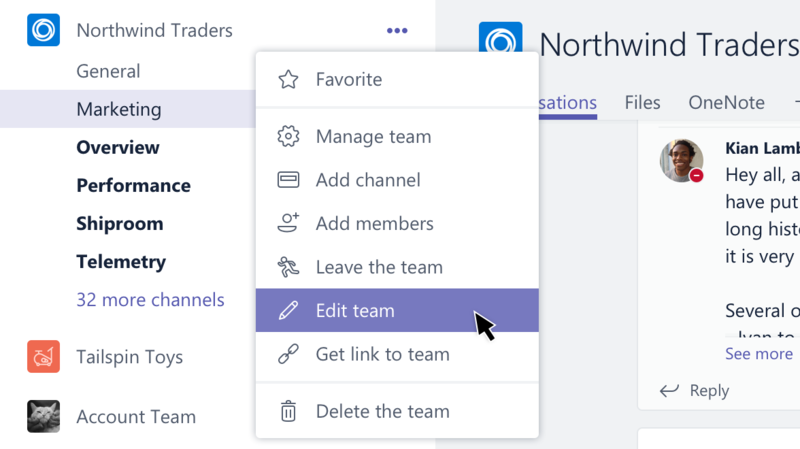 Go to the team name and click More options > Manage team. Set member permissions (like allowing them to create, update, or delete channels and tabs). Enable @team or @[team name] mentions in a channel. Enable team members to send GIFs, emoji, and stickers. In the Settings tab, click Team picture > Change picture. Go to the team name and click More options > Edit team. From there, you can set the team name, description, and privacy settings. 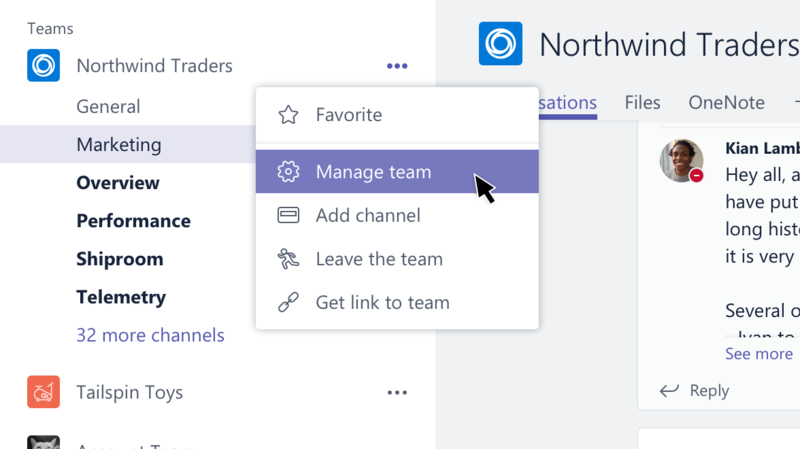 Team owners can change team settings in the desktop or web app.